But… I’d put them in my cart just for the fun of showing you the gifts with purchase offered at SpaceNK's US online boutique right now. Like most of us, I have too much stuff, and diamond hair cream is most certainly not on my list of needs. But getting all those extra goodies makes me very intrigued, indeed. 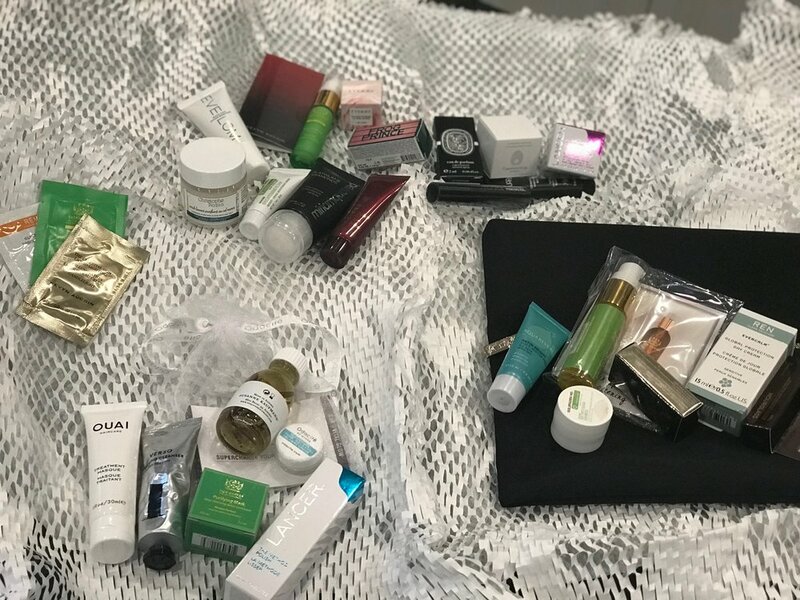 Below is a closeup of the bounty with any $165 SpaceNK purchase with code ESSENTIAL17, followed by the booty you get with a $55 purchase (code GIFT55). Yes, adding to the excitement, you can use the codes at the same time. 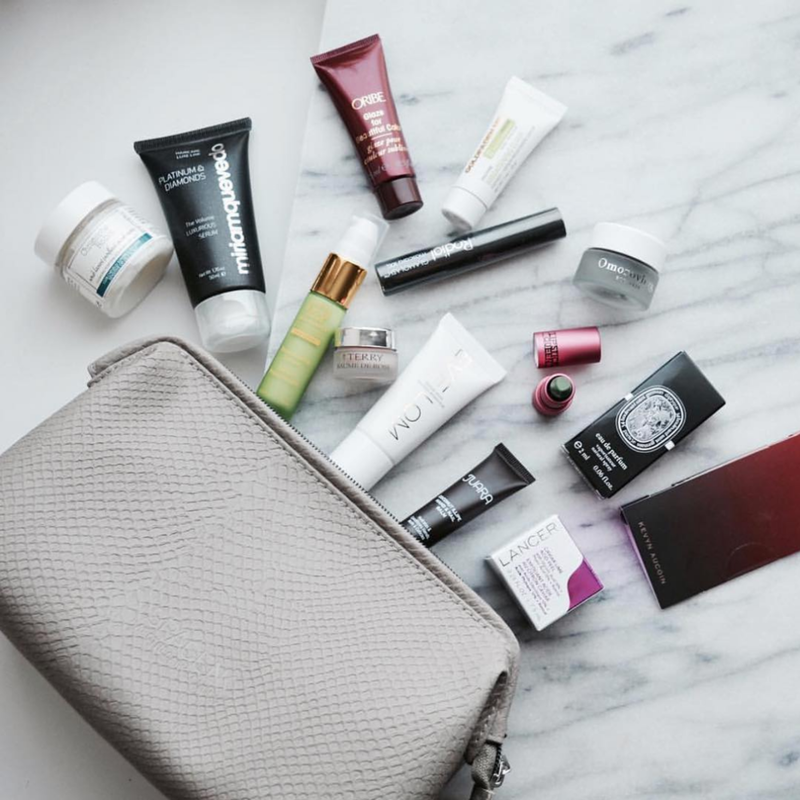 So if you make a $165 purchase, use both, plus, get up to 9 additional deluxe samples from the SpaceNK promo page. Only the first two items are paid, and the rest are bonus bonus bonus. Sometimes our vain or handsy self gets a grip on our heart. Greed is a nauseating and nasty yet altogether naturally occasional vice. If you want some fancy serum, donate to charity, maybe get said serum, and then donate some more to charity to make up for your distastefulness. You can keep the free goodies. Then go volunteer. 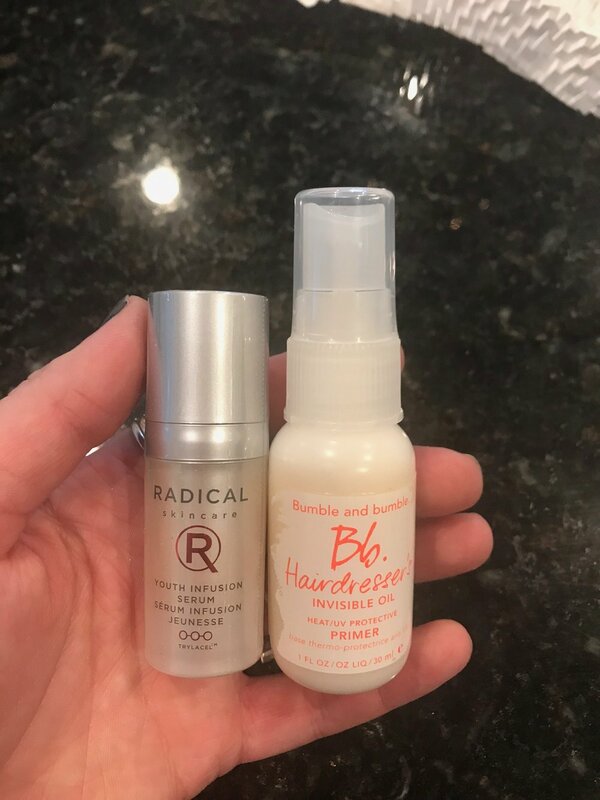 I didn't buy the diamond hair stuff or the caviar shampoo, but if you can’t tell, I bought something equally pricey (serum) and I feel like a nightmare of a human being. But it smells like freaking heaven, and I’m gonna volunteer this Thanksgiving and rescue a puppy. I’m nice. I swear. And I got sooo many samples! Here are some closeups of the bonus I got when I got the cult-favorite Vintner's Daughter serum. Greed is a nauseating and nasty yet altogether naturally occasional vice. 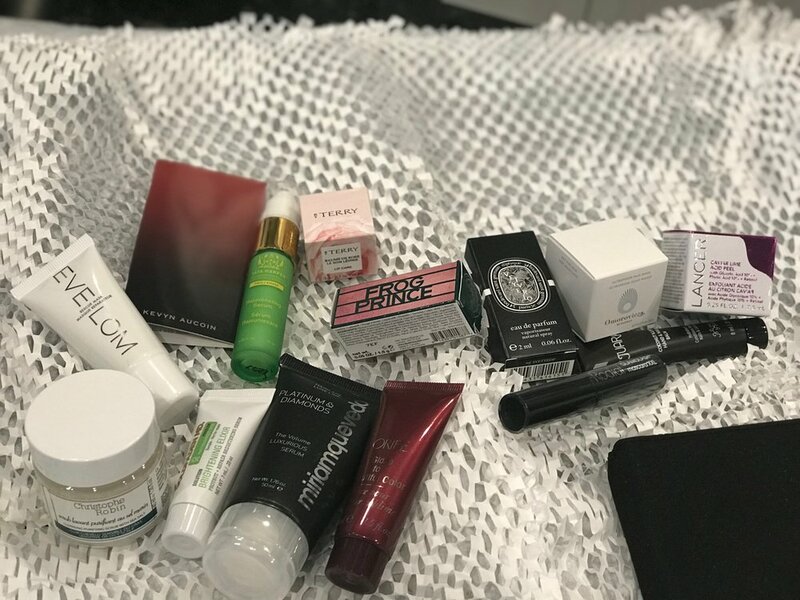 With this many gratis gifts, it feels like stealing. But it isn’t, and you’re no thief. You just like a little fancy serum now and again. SpaceNK, for some Titanically loco reason or another, is giving away a cornucopia. Seize it, forgive yourself for your guilt, and then ameliorate said guilt by scrubbing, squeezing, slathering, masking, sponging, sudsing and and reveling in all those fun trial-sizes. There are 31-ish by my last count, but I’m not one to wave away the booze cart either, and I had a glass or two of wine, so don’t rely on my figures. Check it out yourself. Just don’t do the hair stuff with diamonds.